What is Hydrostatic Water Pressure and why is my basement flooded? Hydrostatic water pressure can cause foundation damage and result in a flooded basement. Homes in Western Montana can experience issues with hydrostatic water pressure. This can be a major problem for homes that can cause foundation damage and result in flooded basements. When there have been excessive amounts of moisture, such as melting snow and/or rain, surface water can surround foundation walls and floors or cause soil around homes built on slabs to expand and contract. This water or soil expansion can create an enormous amount of pressure on the foundation or slab which can lead to cracks, holes and ultimately damaging leaks. Check gutters and down spouts: Repair or replace if damaged and make sure that downspouts extend at least 6 feet away from foundation walls. Inspect exterior foundation and basement walls & floors. Fill small cracks with epoxy on exterior walls, and use a masonry sealer on the inside. If major leaks are occurring, contact a professional contractor. Check landscaping and irrigation systems to make sure water is flowing away from your foundation. If water is pooling around your home, seek the advice of a landscaper or excavation contractor on ways to direct water away from the house. Clean and maintain sump pumps. Test them periodically to make sure they’re working correctly. 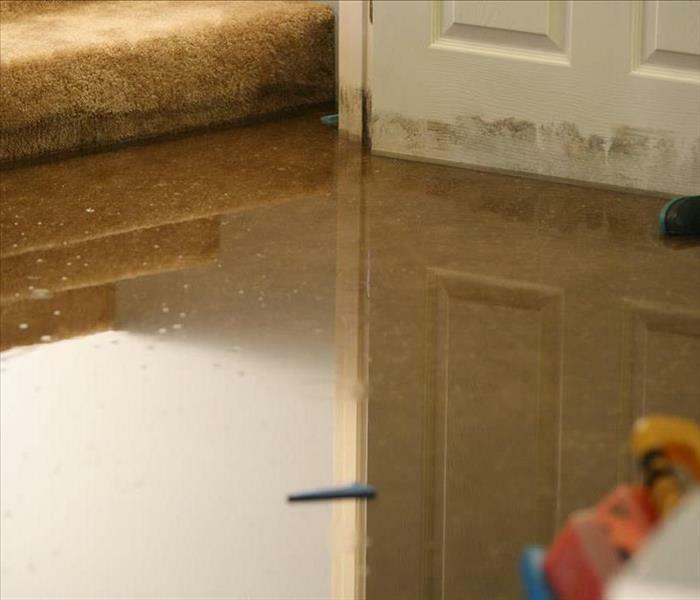 If you currently have water coming into your home, sump pumps can help remove the water. Take steps to remove or elevate personal belongings to minimize damage, then call SERVPRO of Missoula at 406-327-9500. Our technicians will monitor and document the drying process to help prevent the growth of mold and repair the damage to make it “Like it never even happened." SERVPRO of Missoula is here to help you with your loss. Whether you are staring down a flooded basement, a leaky supply line or smoke damage from a neighboring forest fire, we are prepared to help you with any loss! 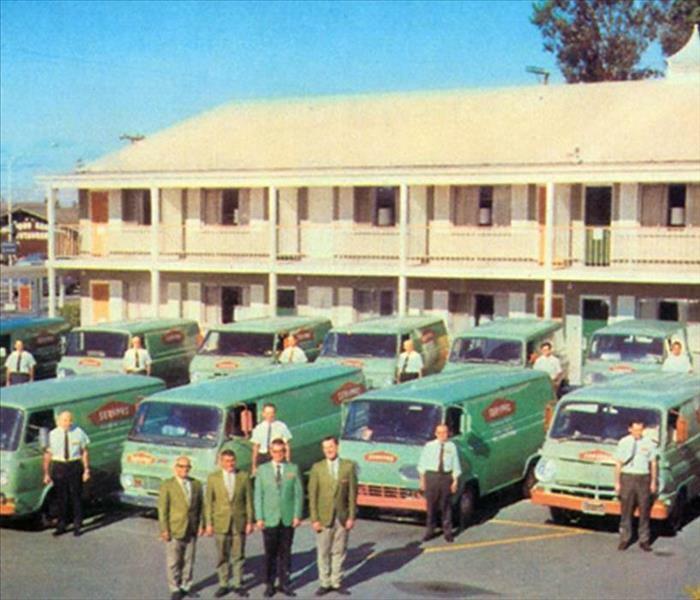 From a multi-story commercial fire damage to a one room mold damage SERVPRO has the experienced technicians and high tech, commercial grade drying equipment to get you back to normal. SERVPRO of Missoula is available 24 hours, 7 days a week. Our immediate, professional response helps to minimize any secondary damage that may occur. We know how nail-biting, hair-pulling and overwhelming losses can be. We work hand in hand with your insurance company from the beginning of the claims process through to final billing and paperwork so you don’t have to. We will always keep you informed of the job process and schedule – we will be there when we say we will! SERVPRO of Missoula can only be as good as our people. Our technicians are extensively trained on the most current industry standards and our number priority on any loss is safety! All of our employees are also required to undergo intensive screening during the hiring process so you can rest assured that we only hire the highest quality staff. It’s difficult enough to deal with a loss without the added stress of wondering who you are entrusting to be in your home or business. It’s important to choose a company who is well versed in all types of losses and has the proper experience, training and equipment to help make your loss, “Like it never even happened”. 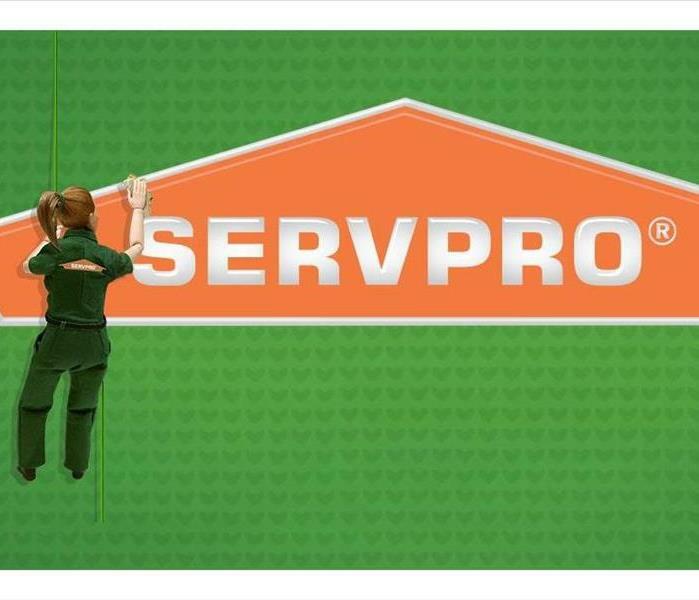 SERVPRO is here for you when you need us! Until then, we will always have this blog for you to read! Many customers call SERVPRO inquiring about the potential health effects of known or suspected mold growth. 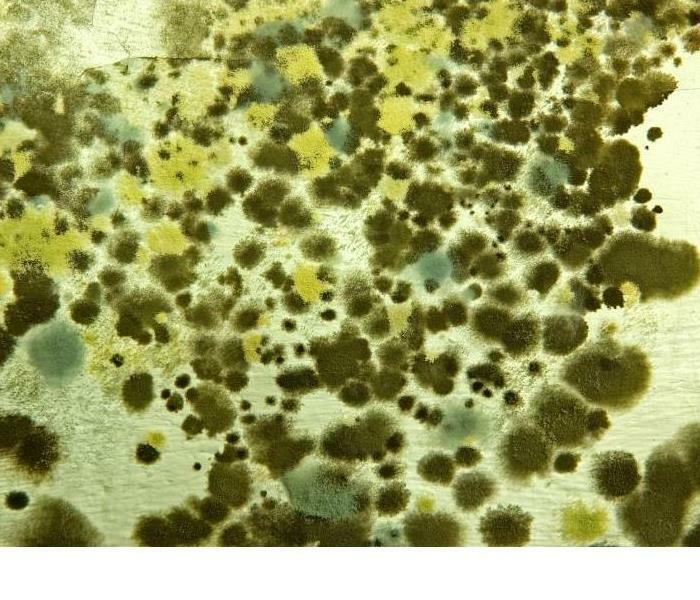 The only way to truly determine the extent of mold spore migration is through lab testing. SERVPRO does not conduct air quality inspections, however we do have trusted vendors and subcontractors that provide these services. Air or surface sampling can be helpful in determining the scope, or extent of a mold infestation. Air samples are taken by drawing a predetermined volume of air through a sterile media, which is then sent to laboratory for analysis. Lab analysis is able to determine type of spores found, as well as extrapolate estimated quantities of the spores identified. Upon request most labs will include a report detailing any issues regarding the indoor air quality. Most Indoor Environmental Professionals will complement the lab report with a recommended remediation plan. If you find yourself on the receiving end of this type of report for your home or business, call SERVPRO! We have the experienced and trained technicians coupled with the proper equipment to execute mold remediation on any scale. Call SERVPRO today to see how we can help make your mold problem "Like it never even happened!" As a commercial property management professional, your clients and tenants rely on you for efficient day-to-day operations of their property. They also depend on you to protect it. SERVPRO of Missoula understands there is no such thing as a small emergency when it can negatively impact occupant safety, revenue loss and business continuity. Timely mitigation is key to minimizing damage, business interruptions and recovery costs. You and those who depend on you will appreciate the rapid response, expertise and training that enables SERVPRO of Missoula to help get your Western Montana facility back into operation quickly. Our 1-4-8 Service Response Guidelines help ensure timely communication and response and can reduce loss expense from secondary damages. 8 - Within 8 business hours, a verbal briefing of the scope of work will be communicated to the property manager or appropriate point of contact. A clean, fresh smelling home sells faster. 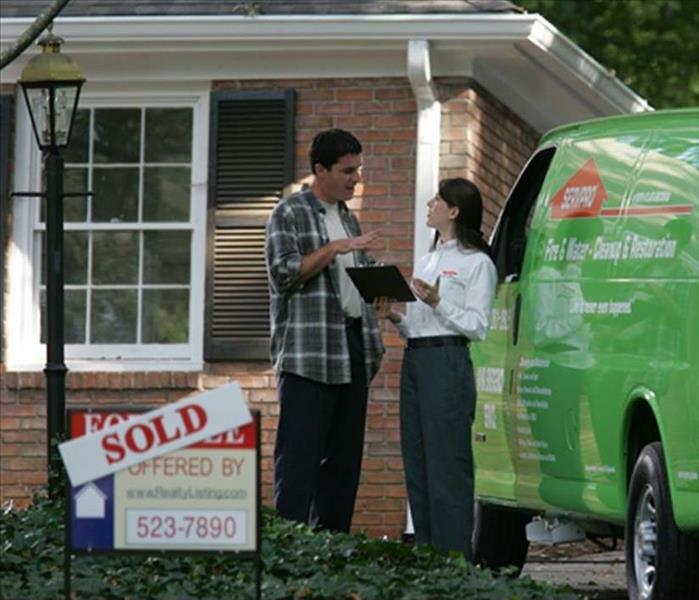 SERVPRO can help get your home ready to sell. It is a fact that a clean, fresh smelling home sells faster. Unfortunately, not all homes are maintained in the same way. Nearly all realtors are faced, at some point, with a difficult listing to show. Our technicians have the training, equipment and products to help identify the source of and eliminate offensive odors. We have odor removal products capable of penetrating surfaces to neutralize an unpleasant odor thoroughly. 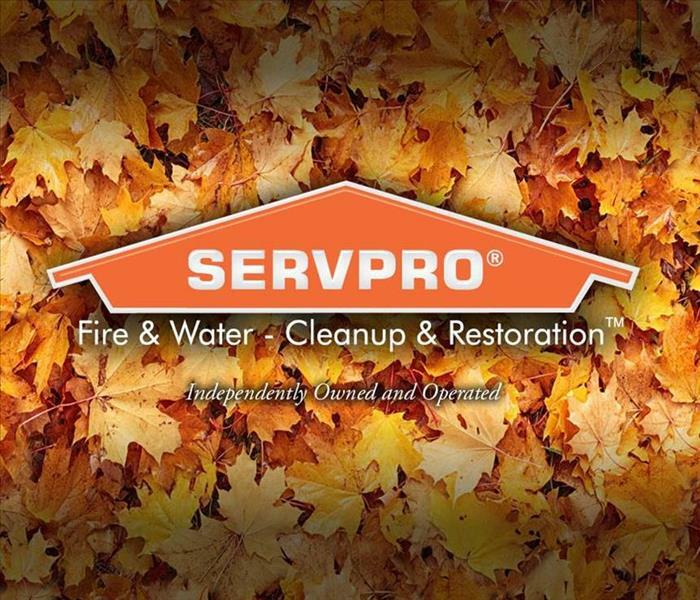 You know SERVPRO as a leader in Fire and Water Cleanup and Restoration, but our professional residential cleaning services can also make a dirty home "Like it never even happened." Call us at 406-327-9500. Did You Know SERVPRO Offers Building & Reconstruction Services? 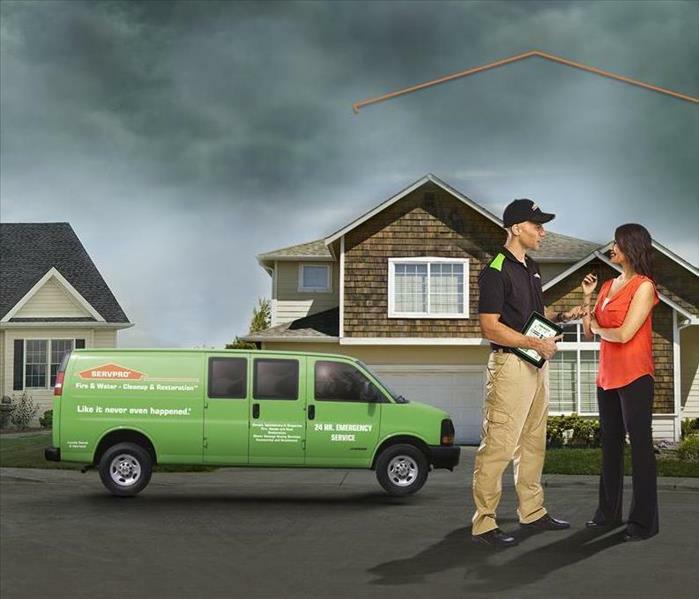 SERVPRO can simplify the entire process for you, from initial damage mitigation to rebuild. The immediate concern whenever a Western Montana home or business is damaged by fire, water or a storm should be to secure temporary protective measures such as placing roof tarps to prevent additional damage, boarding up to secure the property, then remove the water and debris. Not only can SERVPRO of Missoula help stop the damage caused by fire, water or a storm, did you know we can provide building and reconstruction services as well? Let us help simplify the restoration process by handling both the initial damage mitigation and also rebuilding the affected areas. We can provide continuity by supervising a full range of restoration services listed below, that will bring a property back to full functionality. With a few precautionary steps in the fall, your business can be better prepared for winter weather. Western Montana winters not only bring cold weather, but there are also many holidays that are celebrated during this time of year. Fall is a busy time of year for many, as there is a lot that needs to be done to prepare for winter weather. There are a few tips listed below that can help make sure your business is safe and festive for the season. Inspecting for downed tree limbs and branches will not only keep your property looking more attractive, but the wind, heavy rain, ice and snow, can cause branches to fall which can potentially cause personal injuries. Prevent slip and fall accidents by inspecting handrails, walkways, stairwells and parking lots for proper drainage to alleviate flood hazards or slippery areas. Install mats and post caution signs where water could be present. Prevent frozen pipes by making sure that pipes in unheated spaces are properly insulated to keep the water from expanding and bursting, which can result in potential water damage. Have your HVAC system inspected. A professional can clean, change filters and perform minor repairs, if needed. Doing this before the winter weather arrives will ensure that everyone in the building will stay comfortable. Prepare for the worst: a severe snow storm could force you to be shut down for several days. Consider investing in a generator so your business will have constant power and, ask SERVPRO of Missoula about starting an Emergency Ready Profile for your business. Decorate your business: This will help attract customers by showing them that you are in the holiday spirit. There are many things that business owners have to do as winter approaches. Taking the time to properly plan will help ensure that your business is a success during the winter months. It will also prepare you for the unexpected. If your Western Montana business does experience a loss, or you want to prepare an Emergency Ready Profile, call us at SERVPRO of Missoula at 406-327-9500. There are steps you can take before, during and after to be better prepared and protected. 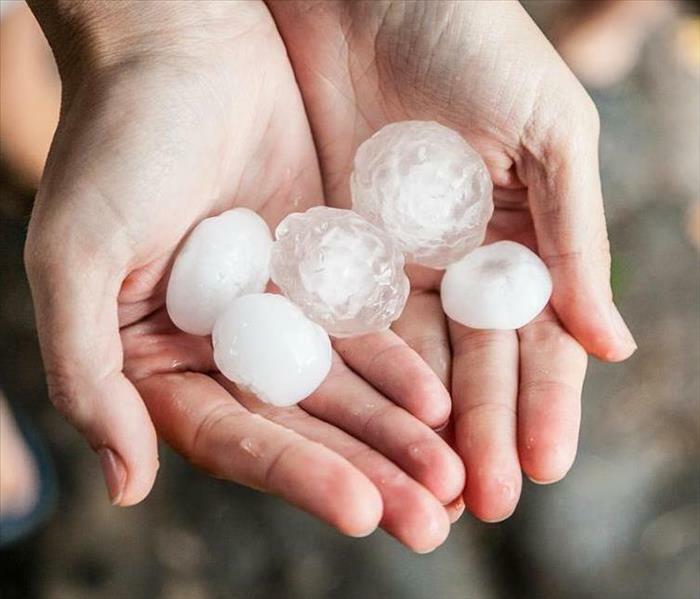 Montanan’s aren’t strangers to hail storms which can have devastating effects on your home or business property. While there is no way to prevent the damage, there are steps you can take before, during and after to be better prepared and protected. Make sure you know what your property insurance covers and what the deductible is. If you aren’t sure, you may want to call your agent. If you have items outside such as outdoor patio furniture, lawn/garden items or vehicles that you don’t want to get damaged, put them inside or under a protective cover until the storm passes. 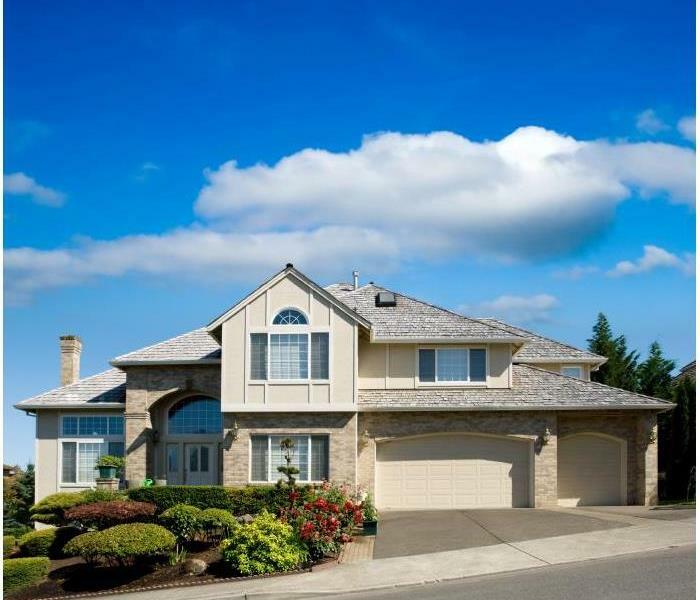 Check for, and repair any damaged or missing shingles, and make sure rain gutters and drains are free of clogs so water buildup doesn’t cause any damage. Stay indoors. Hail dents wood and metal, and can break glass. It can also hurt you. Close your drapes and curtains. This won’t prevent damage, but it’ll help prevent the broken glass from flying into your room. Keeping ducts free of dust and debris may help reduce your energy bill and improve air quality in your home. HVAC systems are often the biggest culprit in poor indoor air quality. The air inside your Western Montana home is full of tiny particles like dust, pollen and pet dander. When your furnace or air conditioner draws air, it also pulls in airborne particles. Over time, these contaminants can build up inside the ducts, reducing air flow and re-circulating throughout your living space. Like furnaces and air conditioners, air ducts require proper cleaning and maintenance to perform at their best. Keeping ducts free of dust and debris can also help reduce your energy bill and improve air quality in your home. More frequent duct cleaning is recommended if you have indoor pets, or are sensitive to indoor air quality. You should also have your ducts cleaned if you have recently renovated your home, as this will increase the amount of dust in your forced air system. Duct cleaning is not an easy job. Doing it right takes specialized equipment in the hands of skilled professionals like ours at SERVPRO of Missoula. Call us today at 406-327-9500, for more information. The source of the water is important to determine the proper cleaning technique. When water damage occurs, knowing what type of water you are dealing with is extremely important to ensure proper clean up. There are many different situations that can create water damage, and depending on the source of the water those can be categorized into three basic types: clean water, gray water, and black water. Some types of water damage are more dangerous than others—not just to the structure of the building, but also to you and your family. Our trained professionals at SERVPRO of Missoula know the best techniques to use to remove the water depending on its category. Clean Water - comes from a source that is clean, such as a sink or bathtub overflow, broken water line, or appliance malfunction. Clean water sources usually do not contain any contaminants, but be careful—what starts out as category 1 damage could easily become a higher category if it’s not taken care of as quickly as possible. Gray Water - comes from a source that may contain contaminants. Common sources of gray water include snow/rainfall, dishwasher or washing machine overflows. Again, when left untreated, a gray water situation could quickly become more dangerous. Black Water - considered the most dangerous category that could damage your structure. Black water includes sewage, flood waters from rivers or streams, or ground water which means it may be highly contaminated. Black water is a serious health risk to anyone who comes in contact with it unprotected and should be handled as an emergency by trained professionals as soon as possible. SERVPRO of Missoula offers 24/7 emergency service. These precautions can help minimize damage from gray and black water while waiting for the professionals to arrive. Avoid all contact with sewage and items contaminated by sewage. Make sure to wash your hands if you come into contact with contaminated items. Avoid walking through contaminated areas, as you can spread damage to unaffected areas. Don’t turn on HVAC system, if there is a possibility of spreading contaminated air. Refrain from using household fans to dry the structure; air flow could spread contaminates. Discard any food and products for hygiene and cleanliness if exposed to contaminated areas. 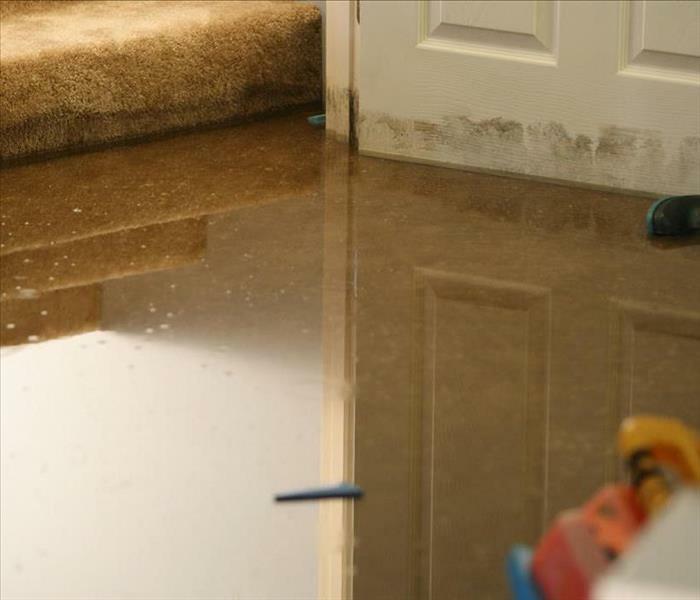 Should your Western Montana home or business experiences water damage, regardless of the type, you can rest assured that SERVPRO of Missoula has the training and experience to restore your property. Call us at 406-327-9500. 4/12/2019 - What is Hydrostatic Water Pressure and why is my basement flooded? 2/26/2019 - Did You Know SERVPRO Offers Building & Reconstruction Services?